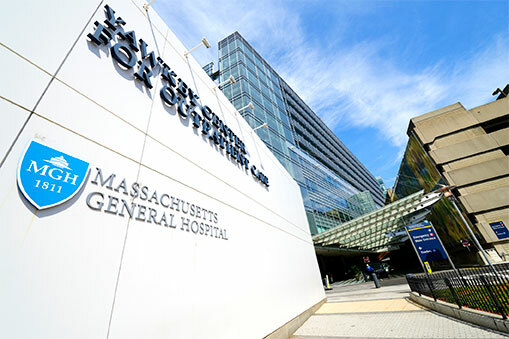 Massachusetts General Hospital | Top 5 Ranked Hospital in the U.S.
Massachusetts General Hospital (MGH) in the West End neighborhood of Boston has been ranked annually as one of America’s leading medical providers, fostering a collaborative culture that leads to unparalleled care. The Massachusetts General Hospital Cancer Center has redefined excellence in health care for many years, utilizing a broad, multidisciplinary approach to therapy that is backed by innovative research and state-of-the-art technology. Its Center for Thoracic Cancers is one of New England’s most experienced programs, handling lung, esophageal and pleural mesothelioma cancers. Surgeons Dr. Hugh Auchincloss and Dr. Henning Gaissert have become specialists in asbestos-related diseases. The Peritoneal Surface Malignancy Program handles peritoneal mesothelioma. 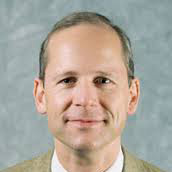 Dr. James Cusack is the director of the program, providing the highest quality care that includes the highly-effective hyperthermic intraperitoneal chemotherapy (HIPEC) procedure. MGH has been ranked among America’s top five hospitals in U.S. News & World Report for each of the last 10 years, a testament to both its excellence and consistency. In the 2017-18 rankings, MGH was the only hospital ranked in all 16 complex specialties that were examined. As part of the largest health care provider in the state, MGH relies on its vast resources, which include more than 25,000 employees spread across seven satellite facilities and its main campus hospital. MGH is the largest teaching hospital for the prestigious Harvard Medical School, assuring a steady flow of the best and brightest doctors. The majority of staff physicians also serve as Harvard faculty. The hospital has more than 1,000 beds and admits an estimated 50,000 patients each year. The surgical staff performs more than 34,000 operations each year, and the hospital handles an estimated 1.5 million outpatient visits. The MGH Trauma Center is the oldest and largest Level 1 trauma center in New England, setting standards that few can match. MGH also founded the first Medicare-approved Lung Transplant Program in the Northeast United States. The size of MGH ensures every patient can benefit from a well-coordinated, compassionate treatment plan that includes leading experts across many specialties. A mesothelioma patient often can benefit from a multidisciplinary approach that includes surgery, chemotherapy and radiation, along with newer options such as immunotherapy. The innovative approach at MGH often stems from its vast research arm. MGH has the largest hospital-based research team in the U.S. with a budget of more than $900 million in 2018. The research community includes more than 8,500 people spread across 30 departments around the hospital campus. Breaking new ground is nothing new at MGH, which covers cardiovascular research, human genetics, regenerative medicine, transplantation biology, cancer care and medical imaging. The Vaccine and Immunotherapy Center, for example, recently uncovered a novel, two-agent immunotherapy drug combination for mesothelioma that has shown tremendous potential. It may soon move to human clinical trials. Nature Index named MGH the No. 1 health care organization for research. The ranking was based on articles published in high-impact research journals. MGH also benefits from its close working relationship with the nearby North Shore Cancer Center, the Dana-Farber Cancer Institute and Brigham & Women’s Hospital. Disclaimer: Massachusetts General Hospital has no professional affiliation with Asbestos.com. Massachusetts General Hospital. (n.d.) Overview.